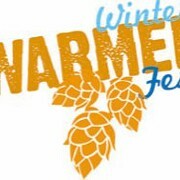 Now in its tenth year, the annual Winter Warmer Fest keeps getting bigger and better. Slated to take place at Windows on the River from 2 to 6 p.m. on Saturday, March 5, the event serves as both an Ohio craft beer showcase and a fundraiser for the Ohio Craft Brewers Association. 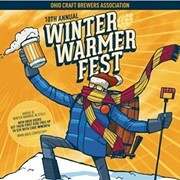 At the upcoming event, 50 Ohio breweries will be on hand to sample their winter, limited edition and other popular beers. The event will feature live entertainment by local singer-songwriters Austin Walkin' Cane and Chris Allen. Food trucks such as Fired Up Taco Truck, Scott’s Fire and Ice, Streat Mobile Bistro, Sweet! Mobile Cupcakery and Zydeco Bistro will be on hand as well. General admission tickets are $45 and include a souvenir glass and tasting tickets for 20 samples. VIP tickets are $85 and include early admission at 1 p.m., a limited edition T-shirt, a swag bag and special beer tastings. Designated driver tickets are available for $12 each and include a non-alcoholic beverage and a cupcake from Sweet! Mobile Cupcakery. You must be 21 years of age to attend. Tickets are currently on sale.